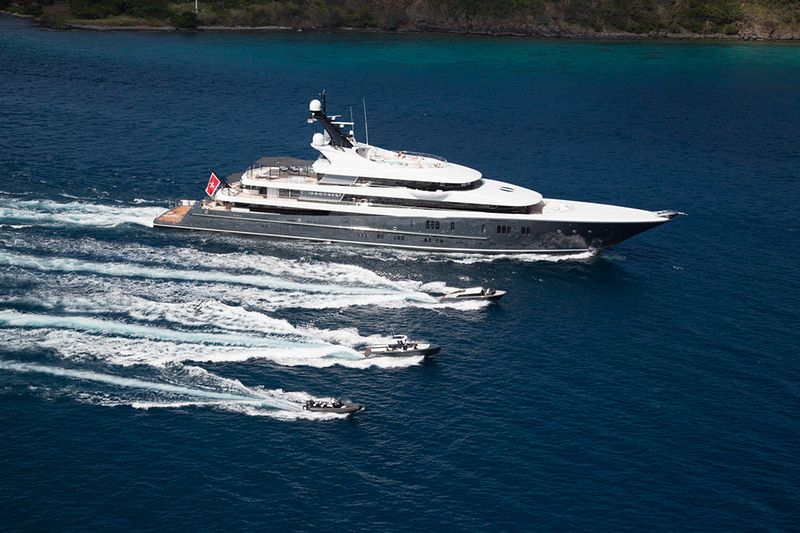 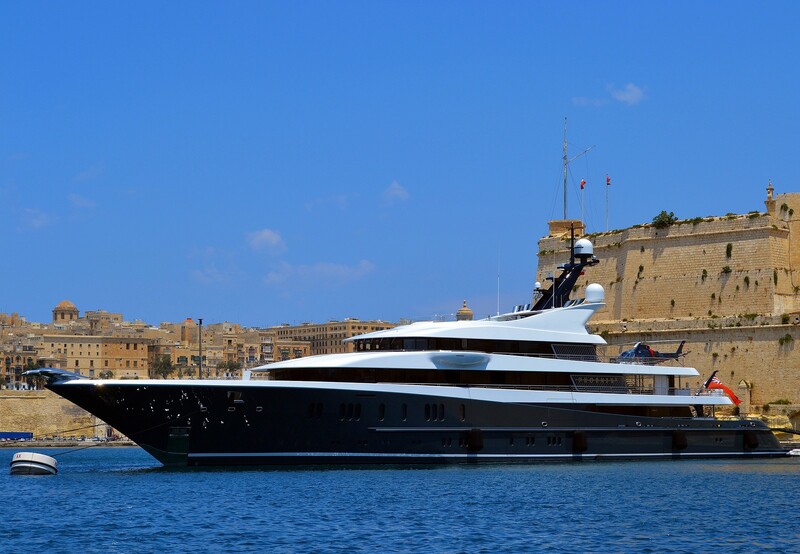 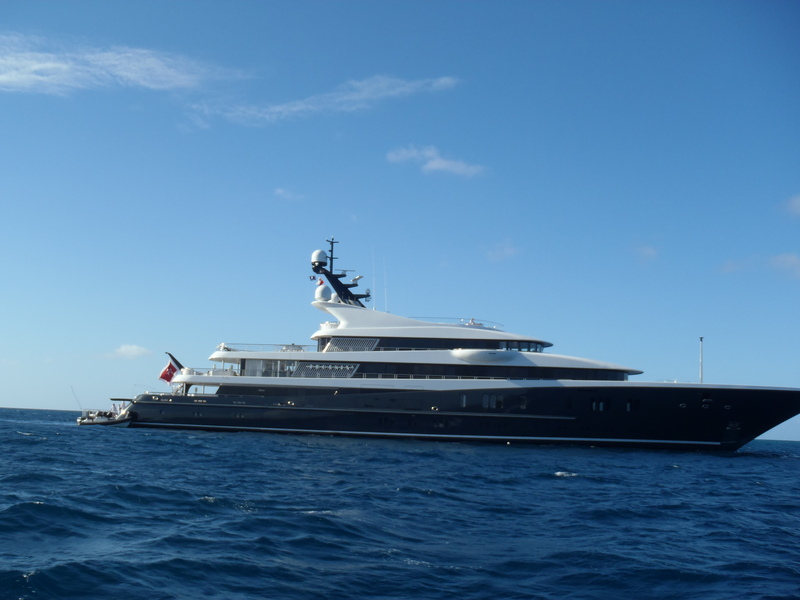 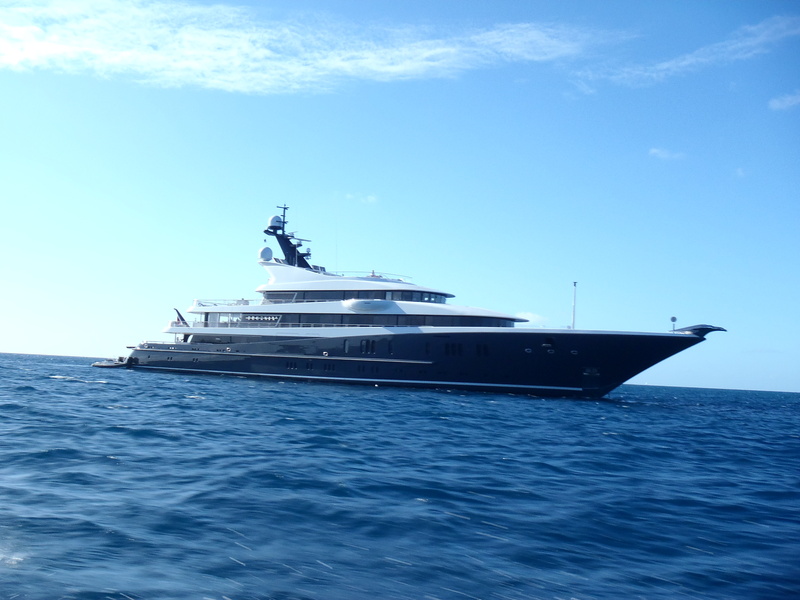 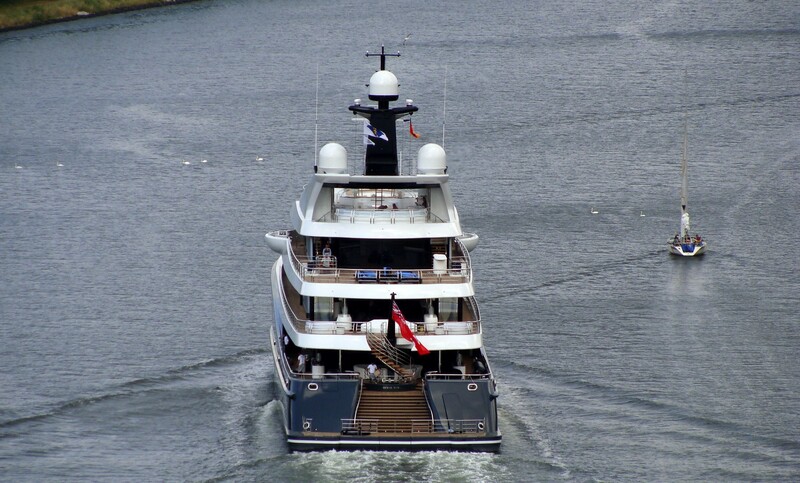 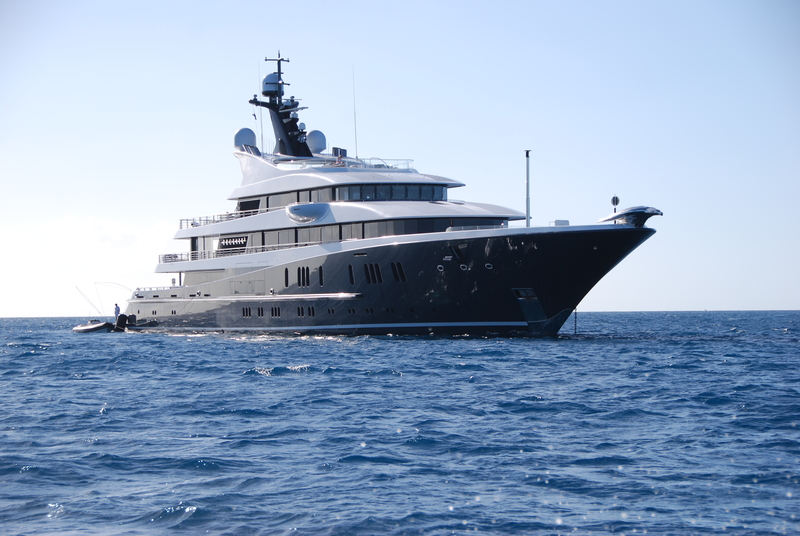 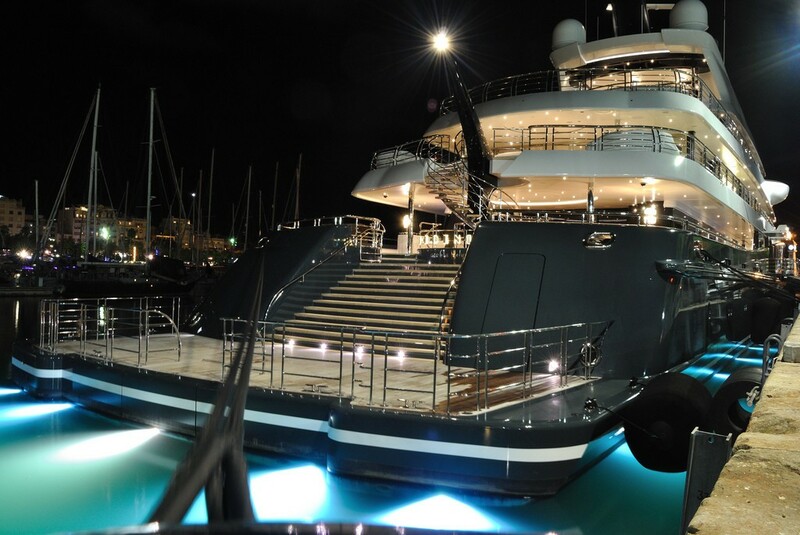 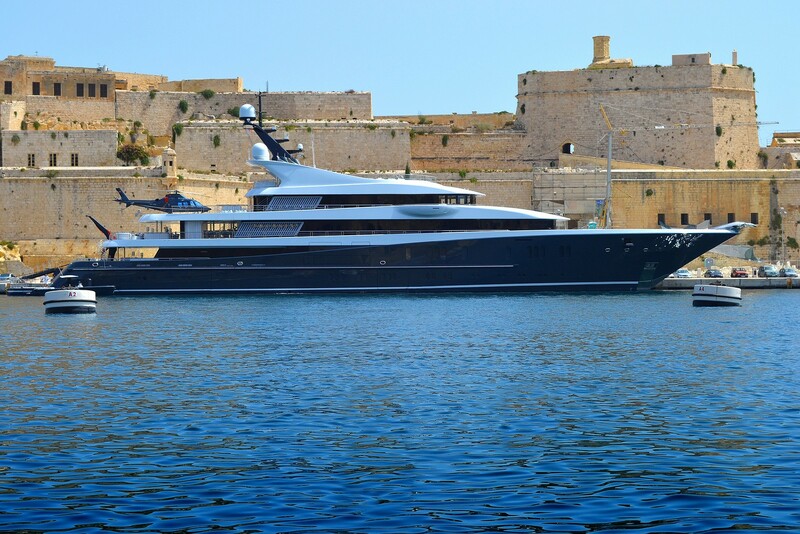 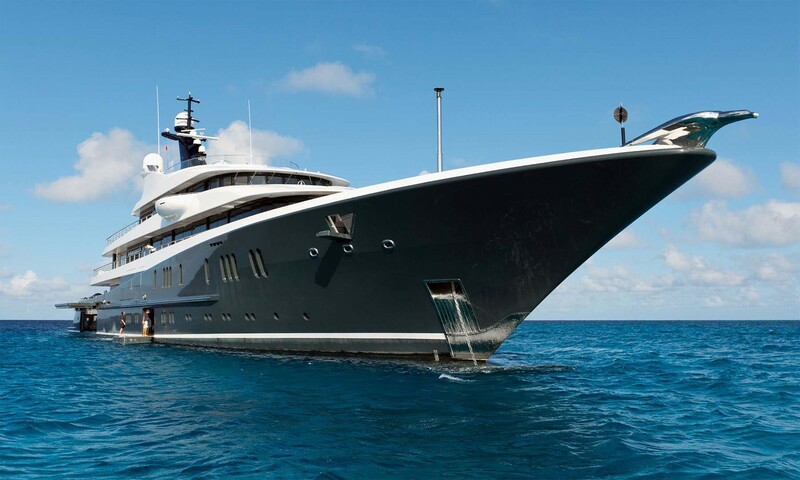 Motor Yacht Phoenix 2 is an impressive 90-metre vessel, launched by Lurssen Yachts in 2010. 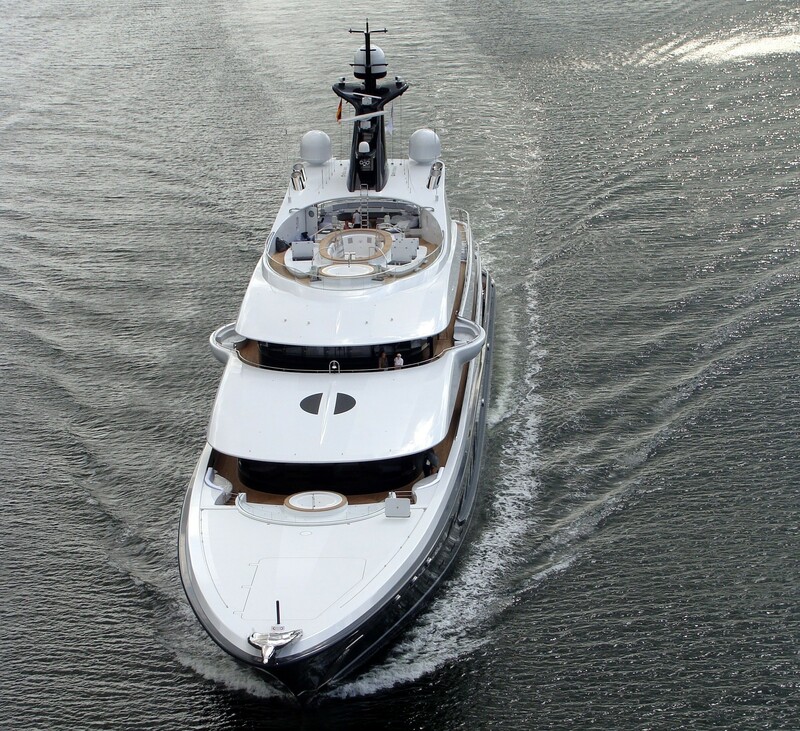 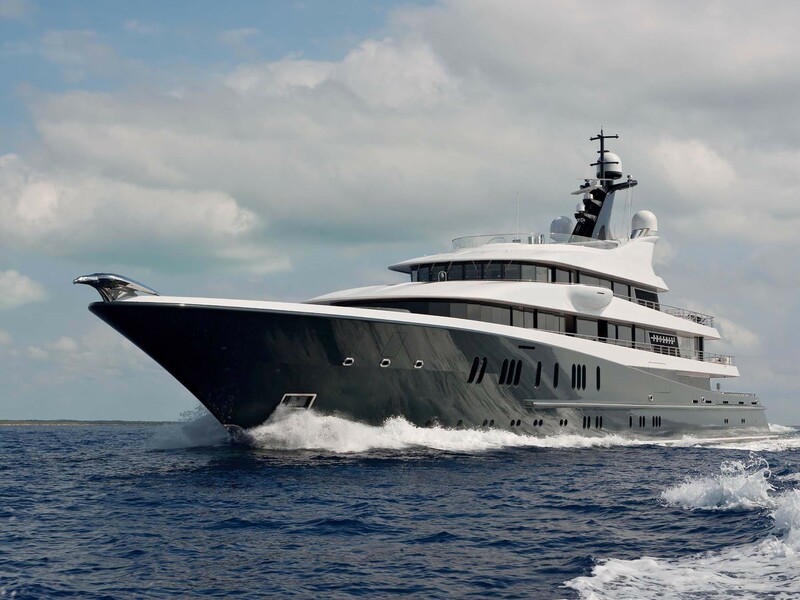 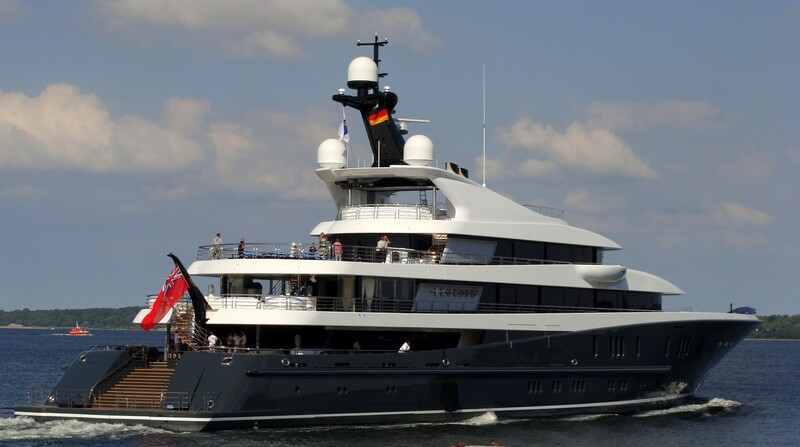 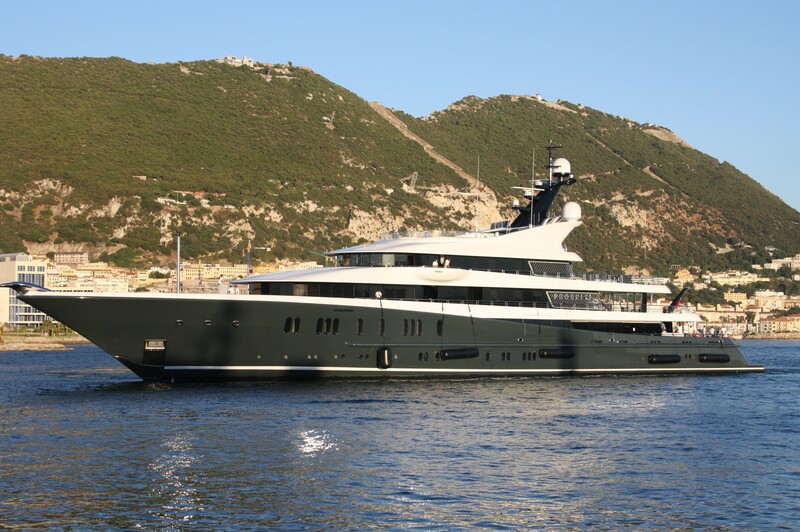 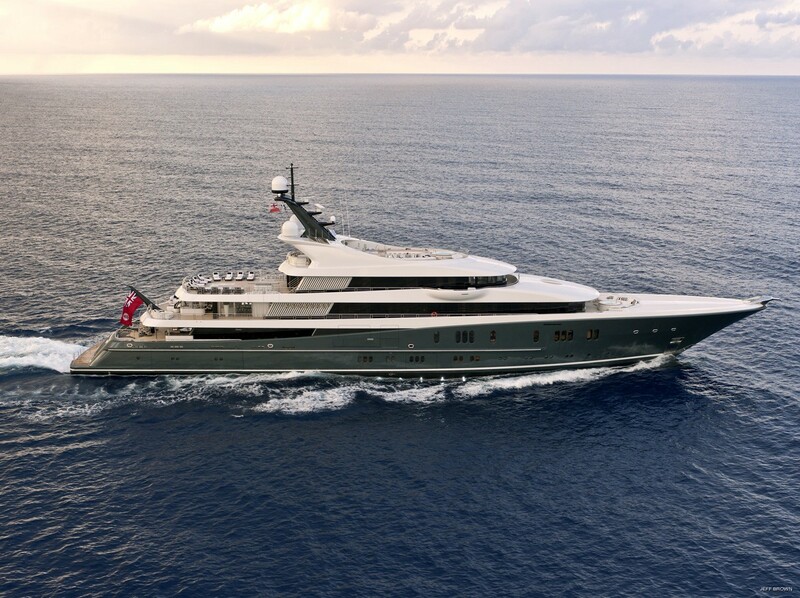 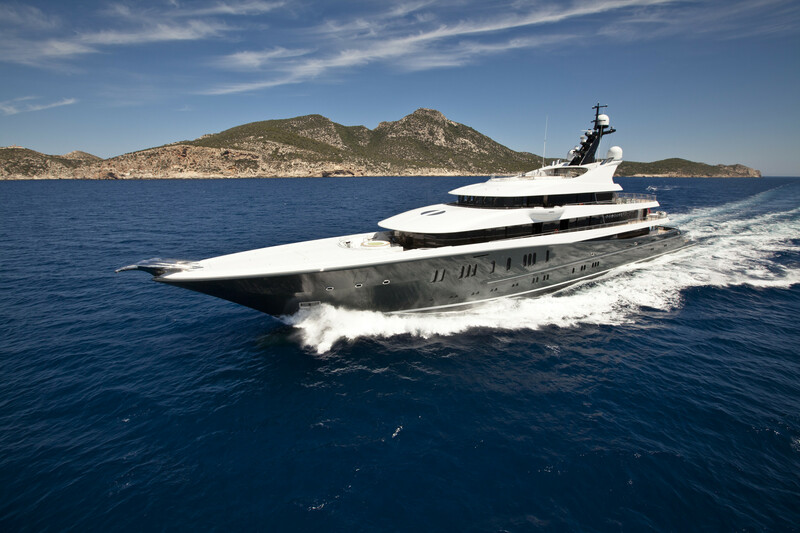 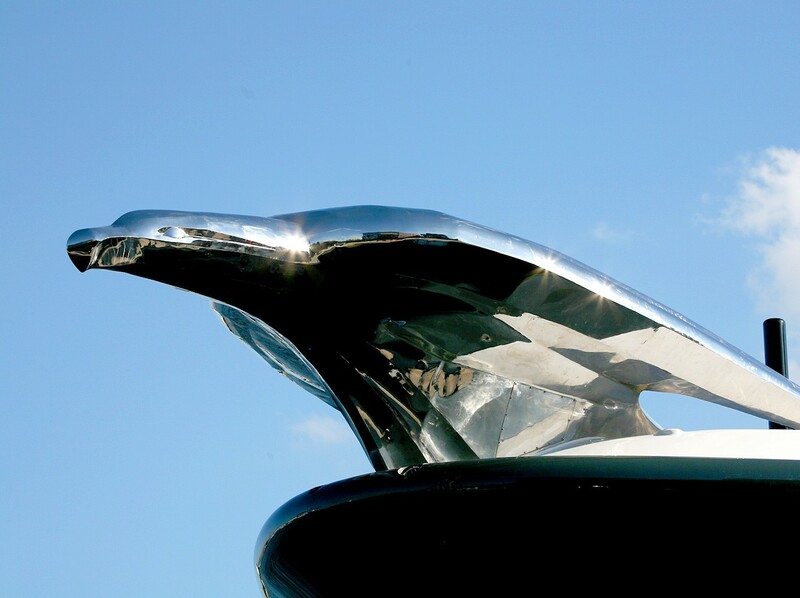 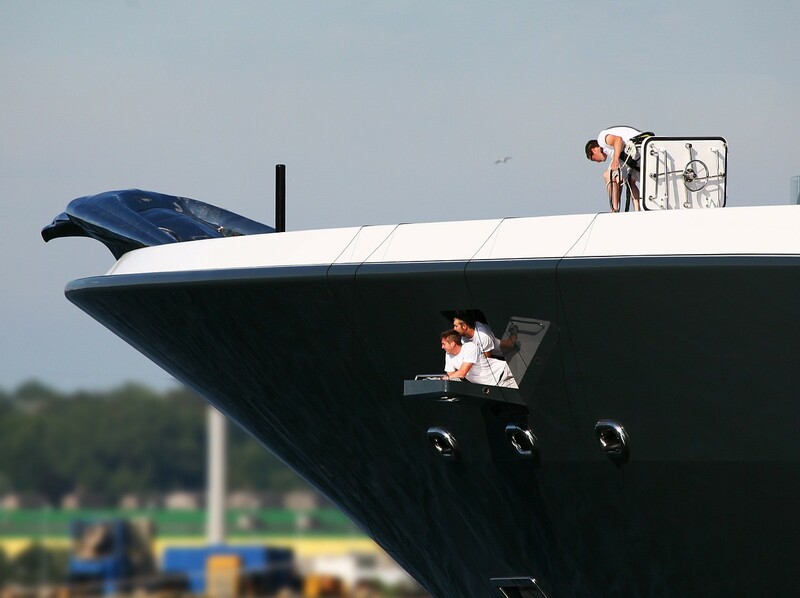 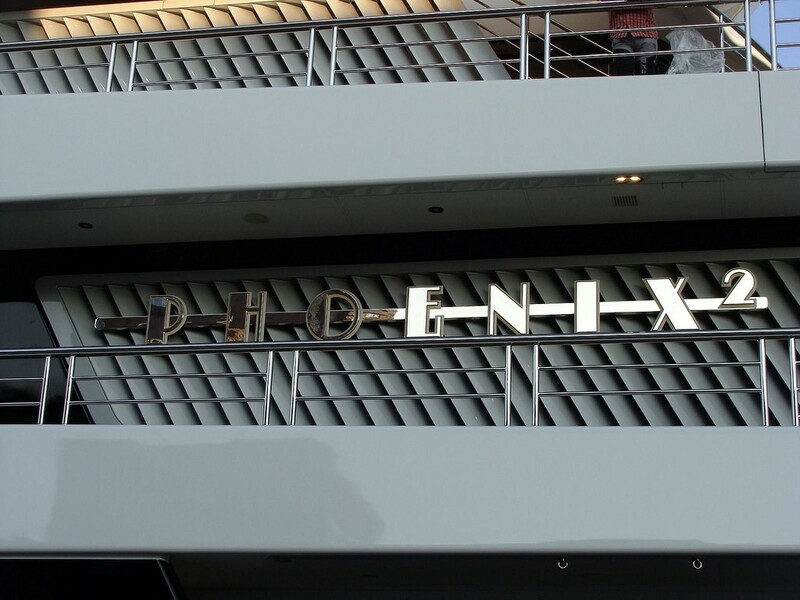 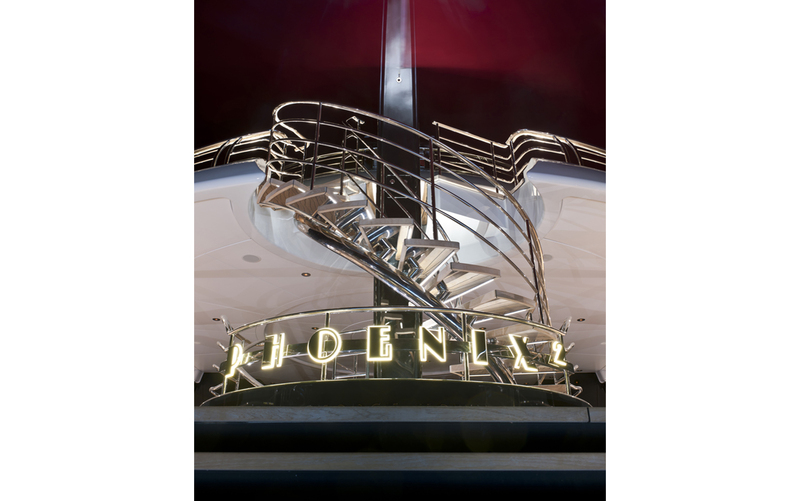 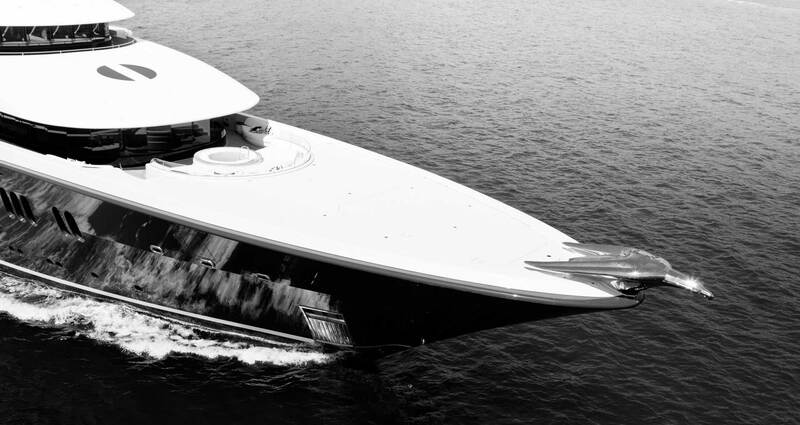 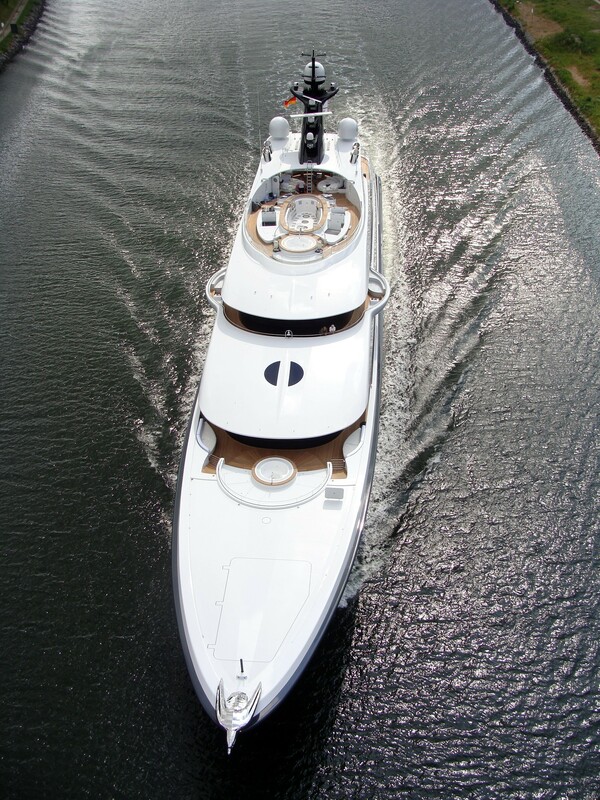 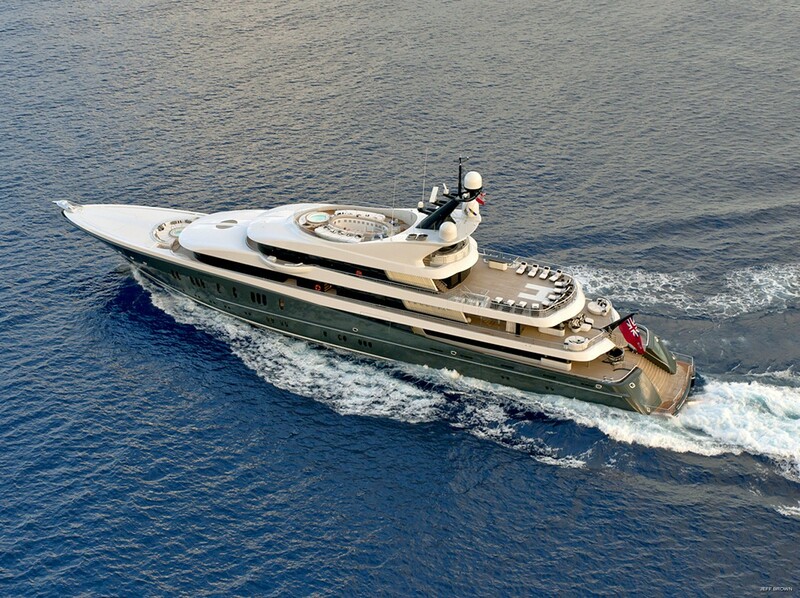 The original 60-metre superyacht Phoenix was launched at Lürssen in 2004. 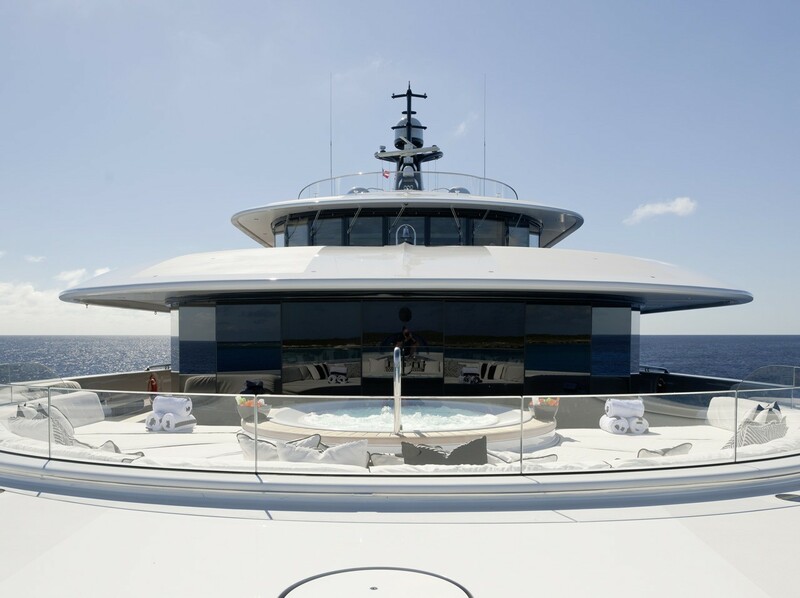 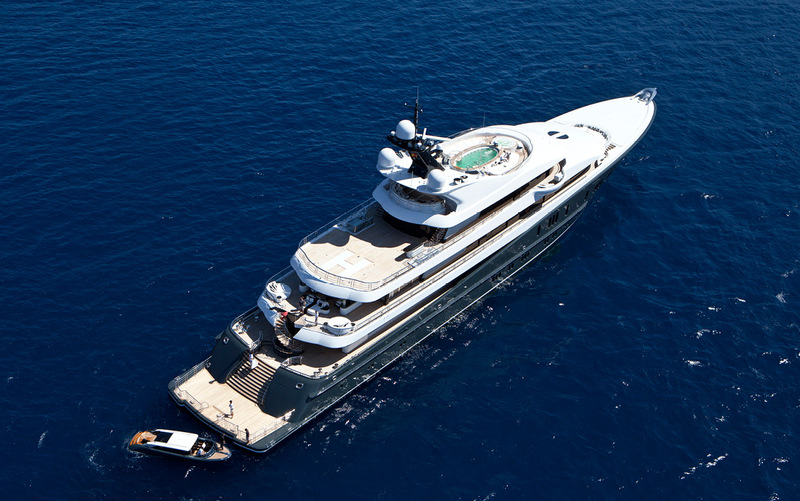 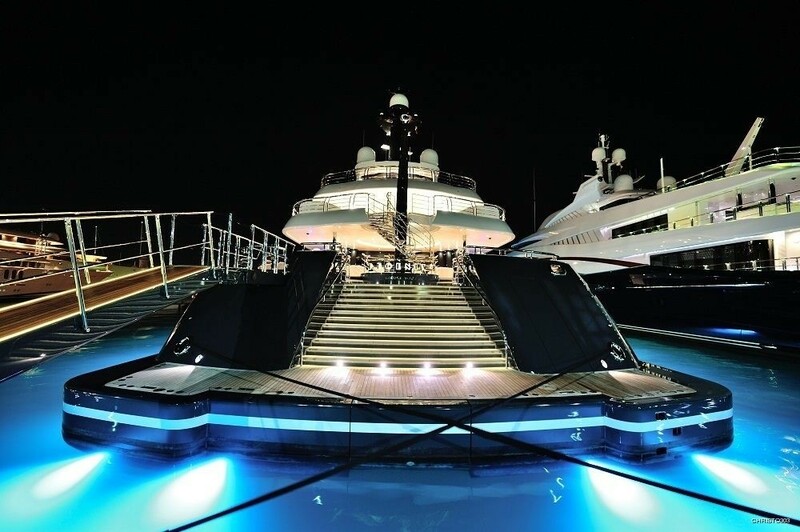 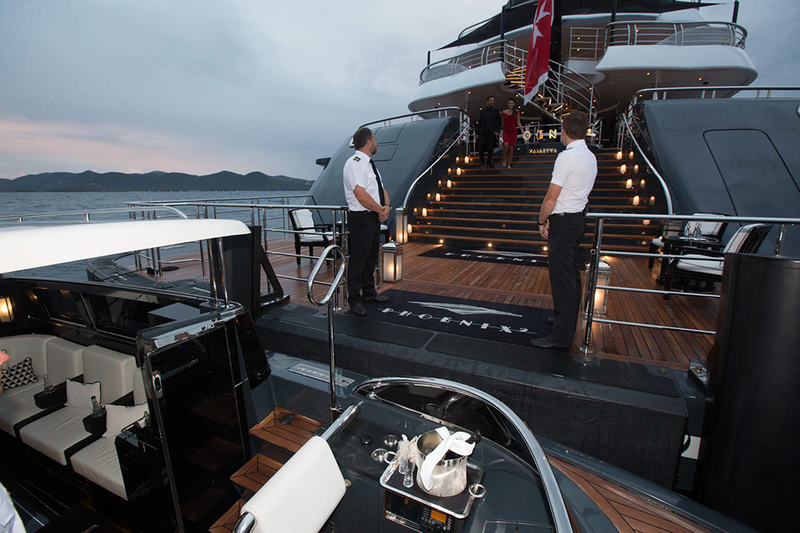 The mega yacht’s exterior was designed by Andrew Winch Designs, introducing elegant and contemporary lines, complemented by more than 100 metres of stainless steel handrails. 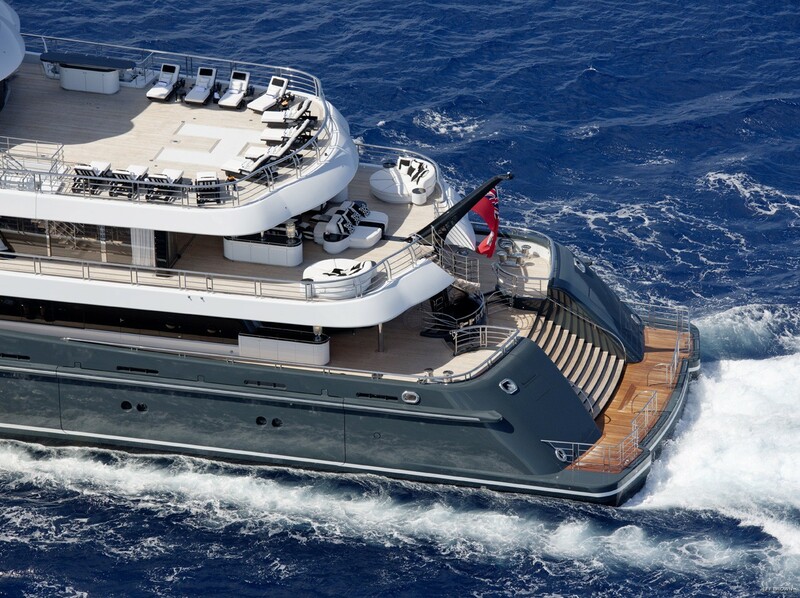 She offers accommodation in 6 cabins, for up to 12 guests. 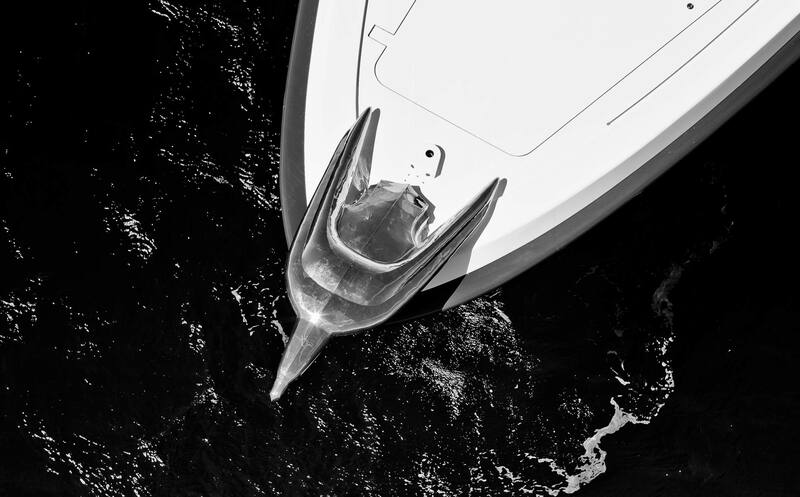 Phoenix 2 yacht was built to ensure the original Phoenix essence has been kept, however, she has been 'squared' in her complexity, as well as in her size. 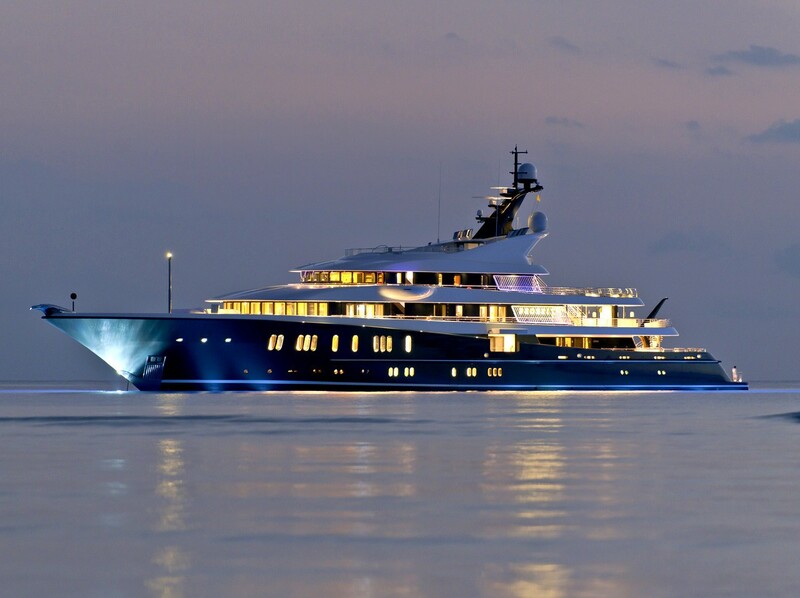 She is an even bigger and more stunning yacht. 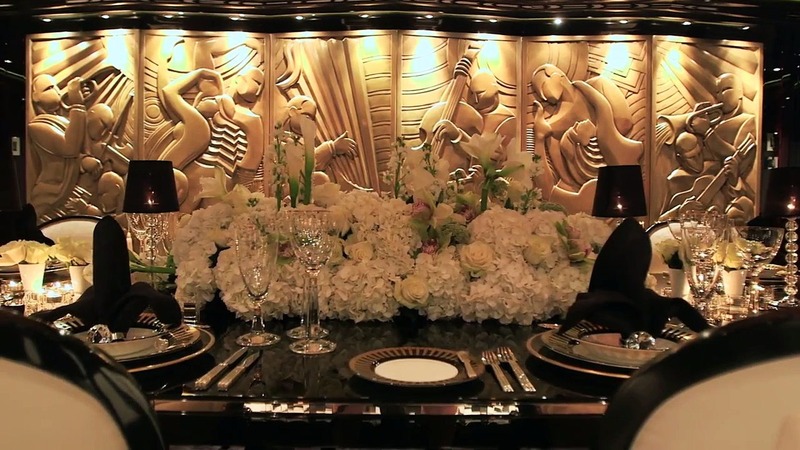 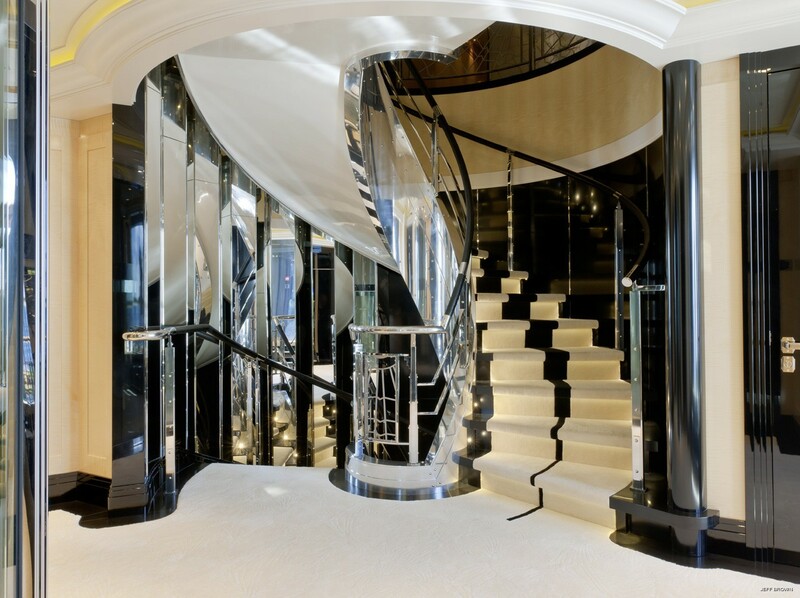 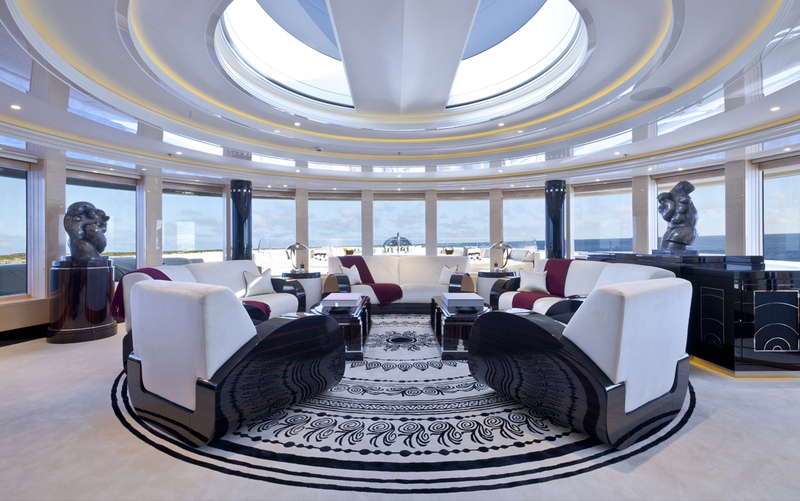 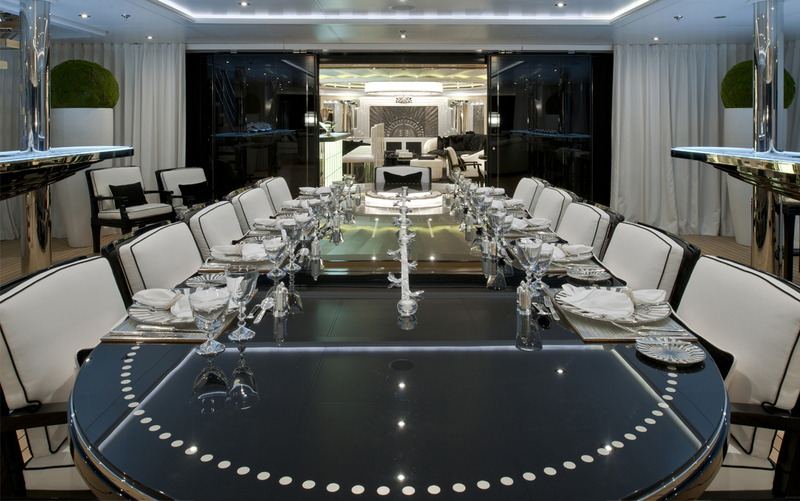 The imaginative use of furnishings, fabrics and furniture on this Lürssen yacht is influenced by the New York 1930’s era, is incorporated into her unique general arrangement which has been carefully designed to provide the clients with exactly the style and practicality of the yacht they require. 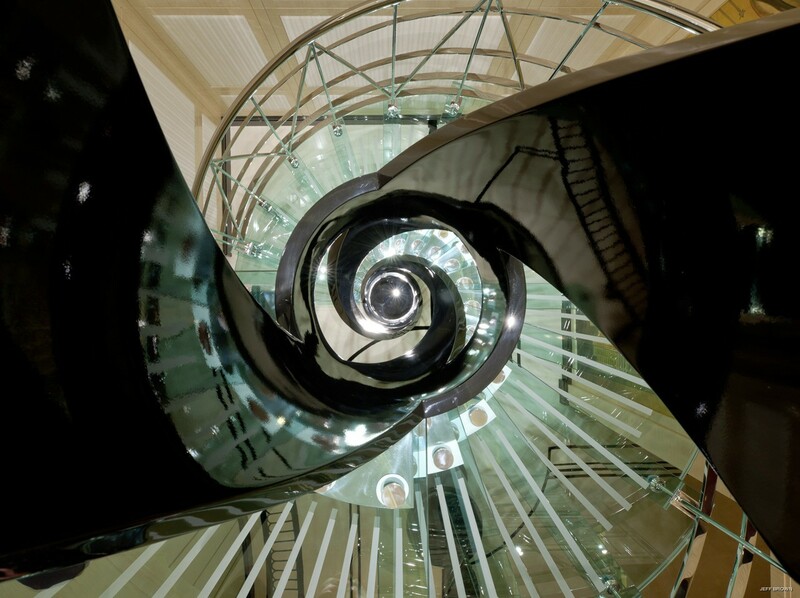 A beautiful full beam Deco Duplex apartment for the owner’s suite offers unrivalled and undisturbed views out to sea. 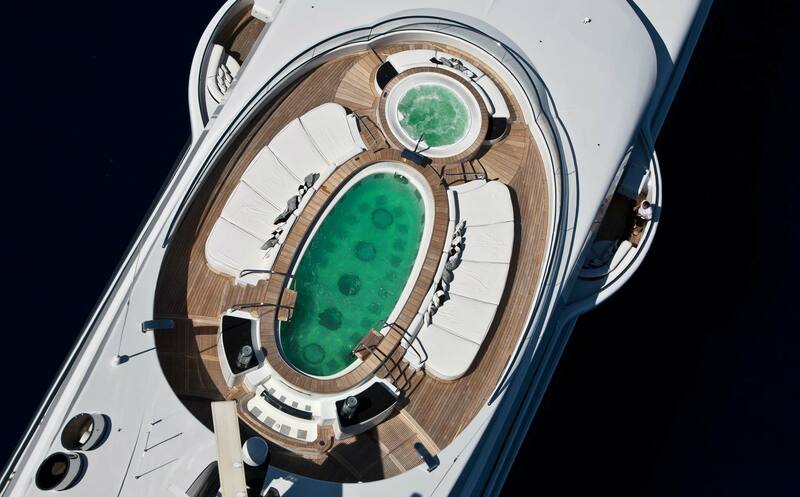 A private staircase joins the two floors together whilst a private foredeck complete with Spa Pool offers exterior privacy to the client. 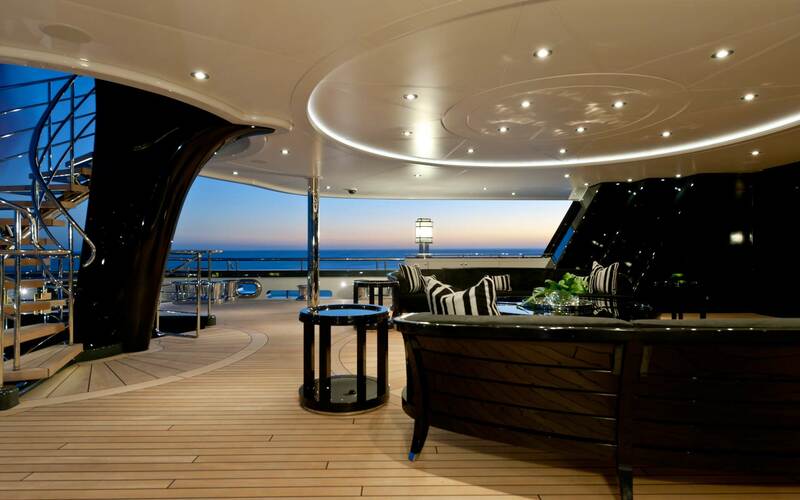 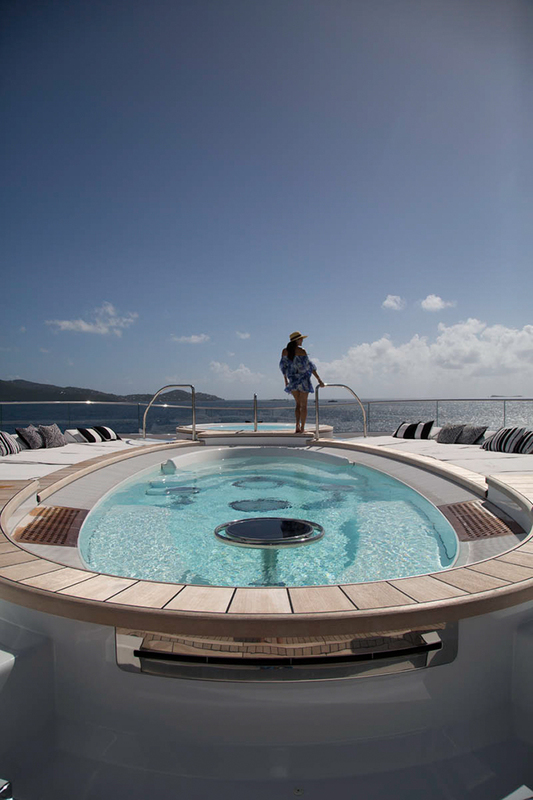 The yacht has further six beautifully appointed guests cabins. 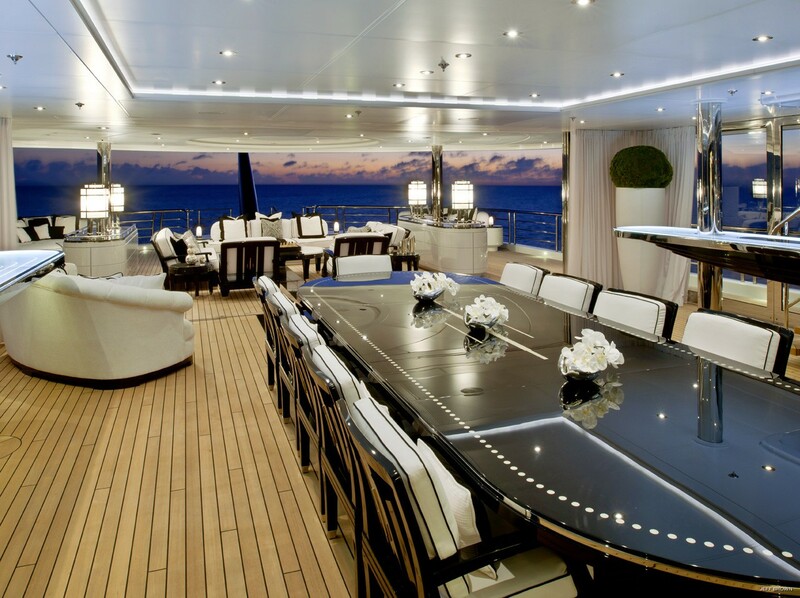 The guest areas are proportioned brilliantly with an immense volume. 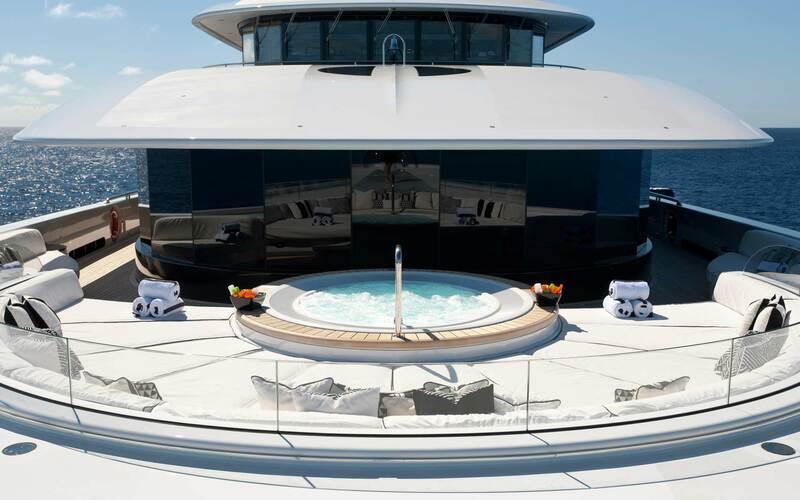 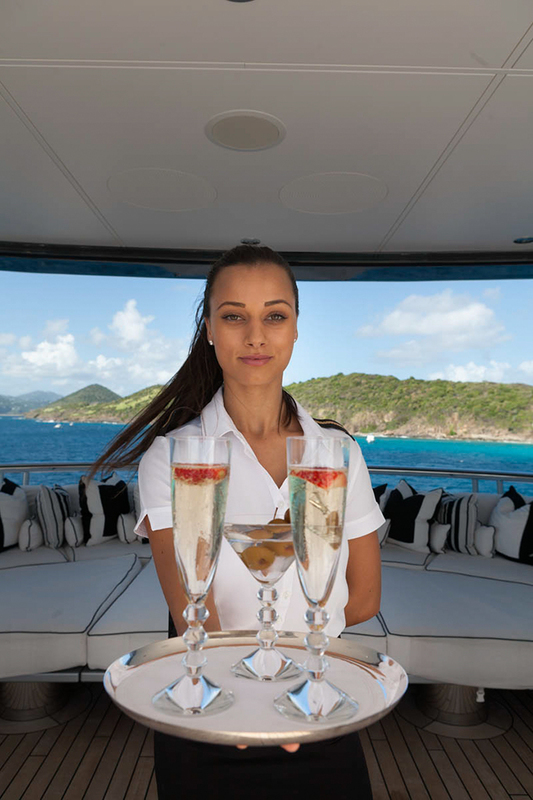 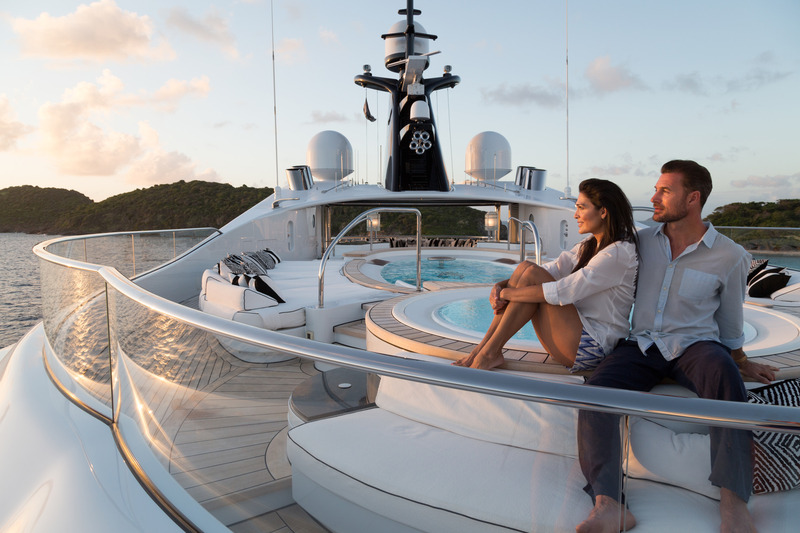 Other special features of the yacht include a cinema located on the lower deck and a fully equipped Spa deck offering Gymnasium, Hamman, Spa room with massage table and beauty salon. 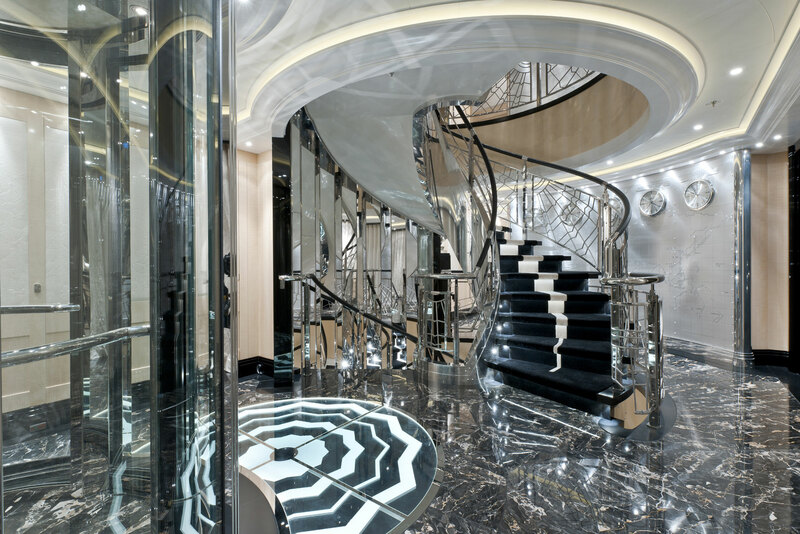 An elevator connects all levels, running from the lower deck up to the bridge deck. 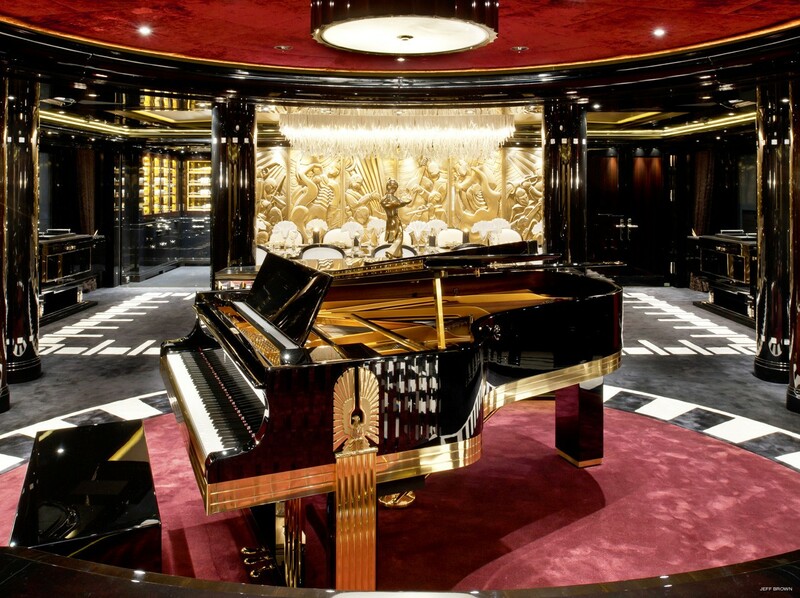 Phoenix 2 has great social areas for guests to enjoy including a large elegant main salon complete with a custom Steinway piano and a formal dining area. 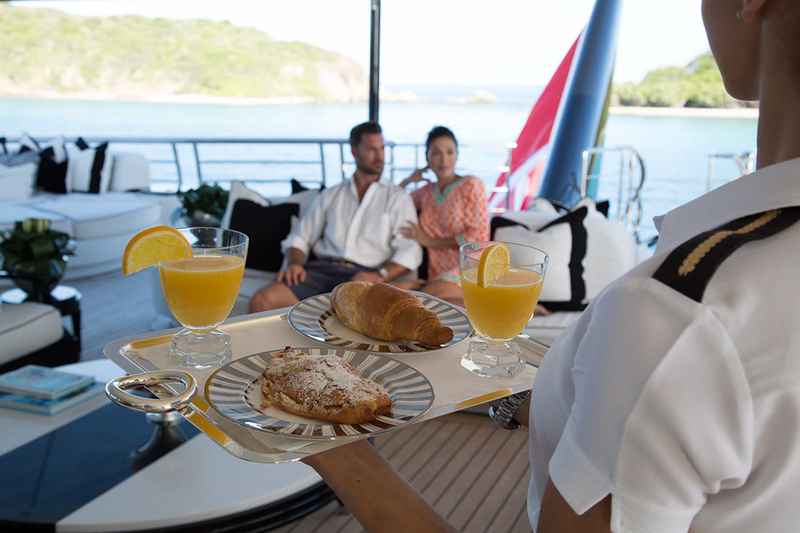 On the upper level, the Sky lounge opens out to an inside/outside dining area complete with glass screens creating the ultimate in dining experiences during a vacation. 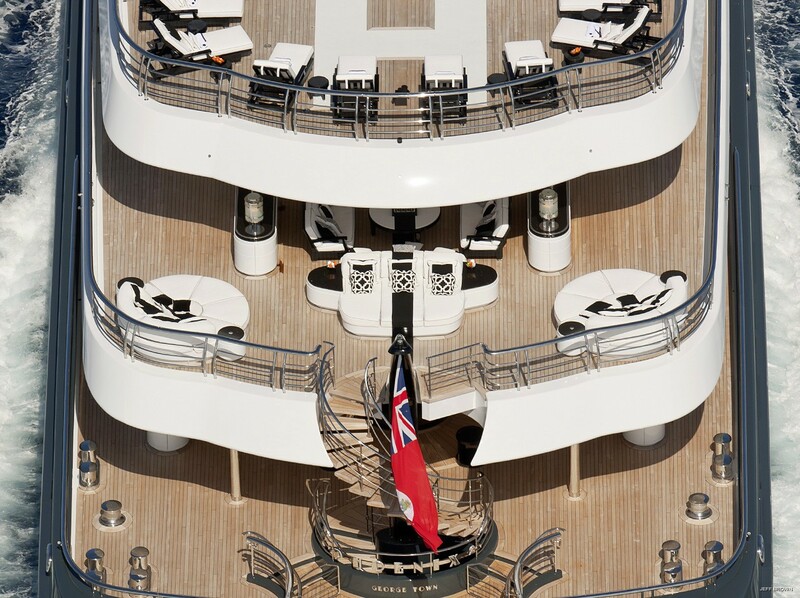 The exterior spaces are just as grand, with six beautifully appointed exterior deck areas to enjoy. 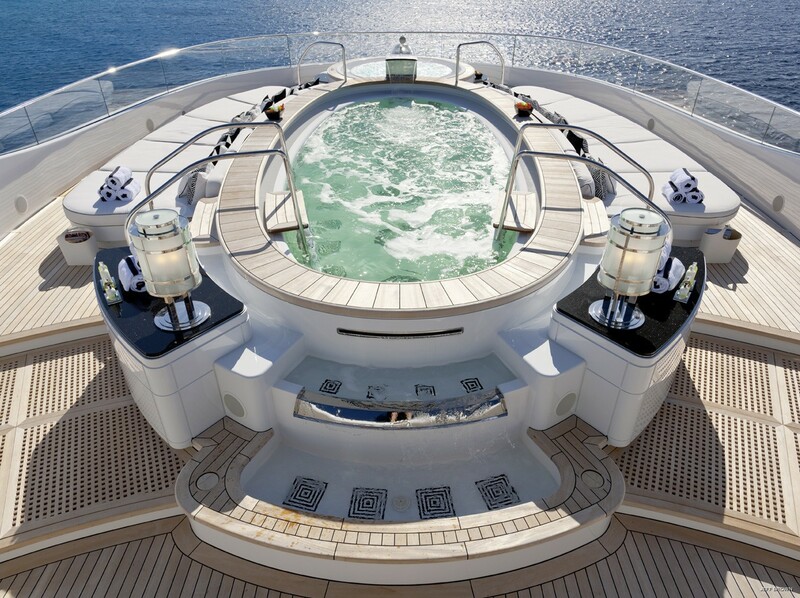 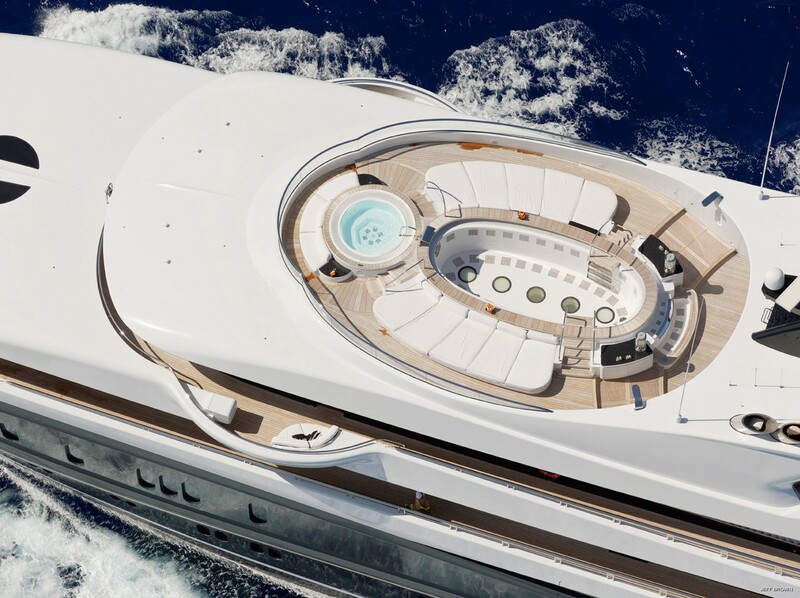 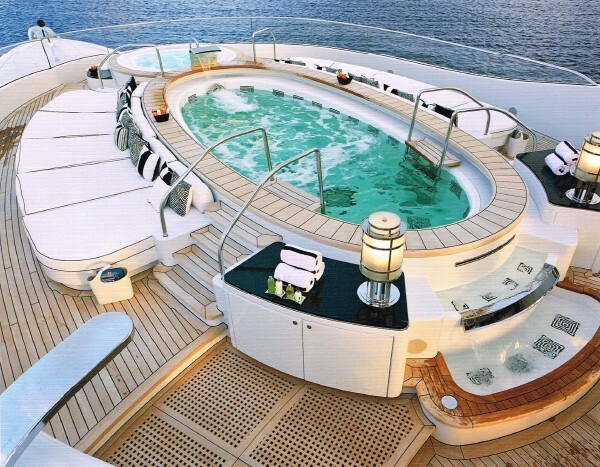 The Sundeck offers a large 7m swimming pool with swim jet, ample sun pads, separate Spa Pool as well as an exterior cinema, while the oversize swim platform can be set up as an exterior “sea” lounge /beach club. 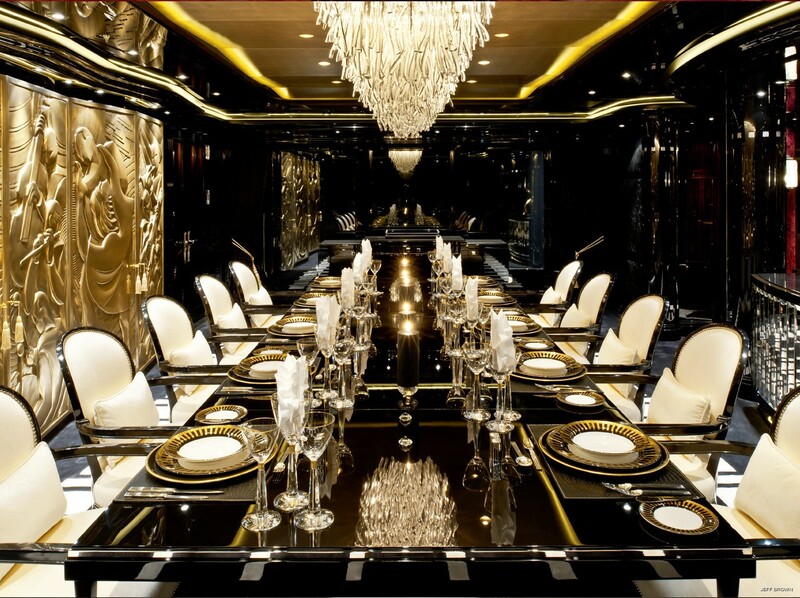 Six beautifully appointed luxury suites offer accommodation to up to twelve guests. 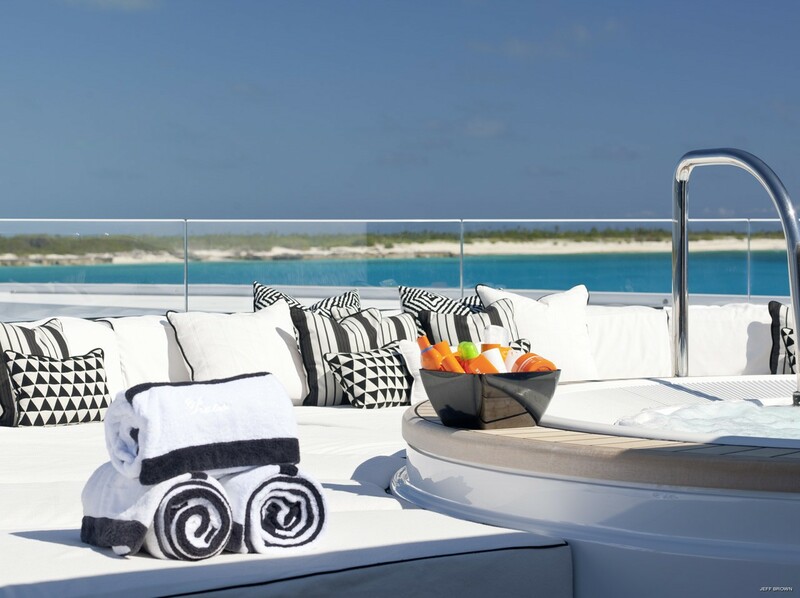 The full beam Deco Duplex apartment for the owner’s suite provides unrivalled and undisturbed views out to the sea. 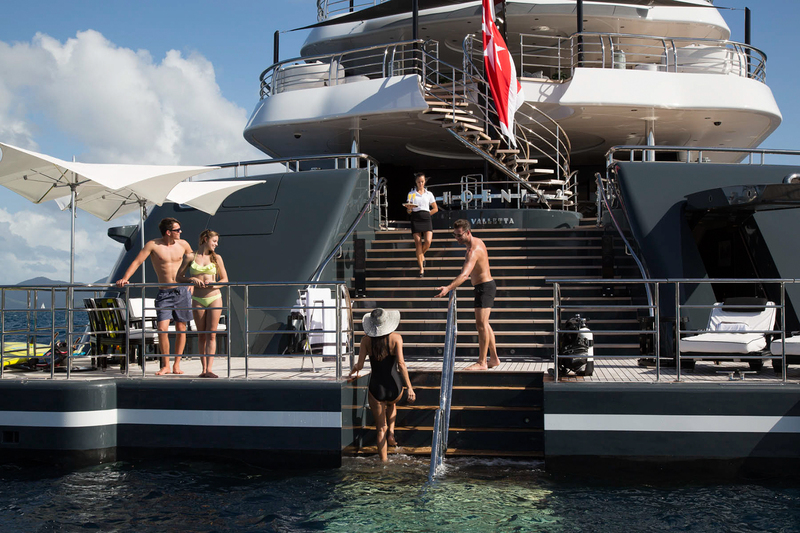 A private staircase joins the two floors together whilst a private foredeck, complete with Spa Pool, offers exterior privacy to the client. 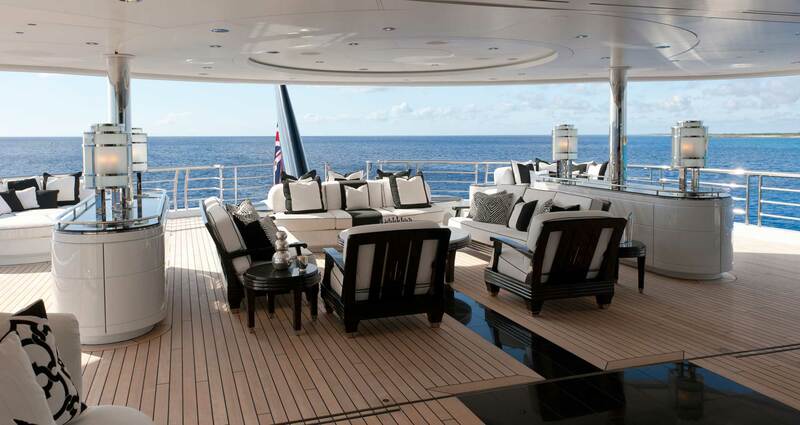 The yacht has further six beautifully appointed guest cabins. 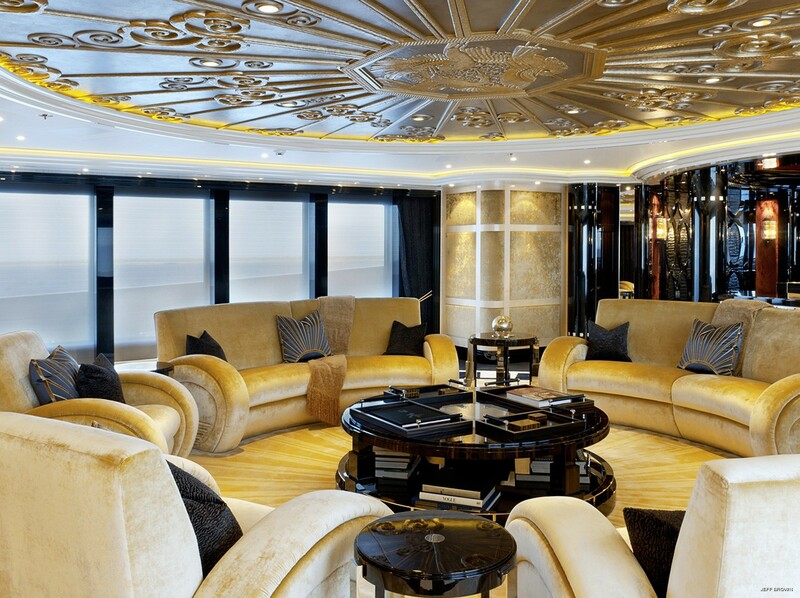 The guest areas are proportioned brilliantly with an immense volume. 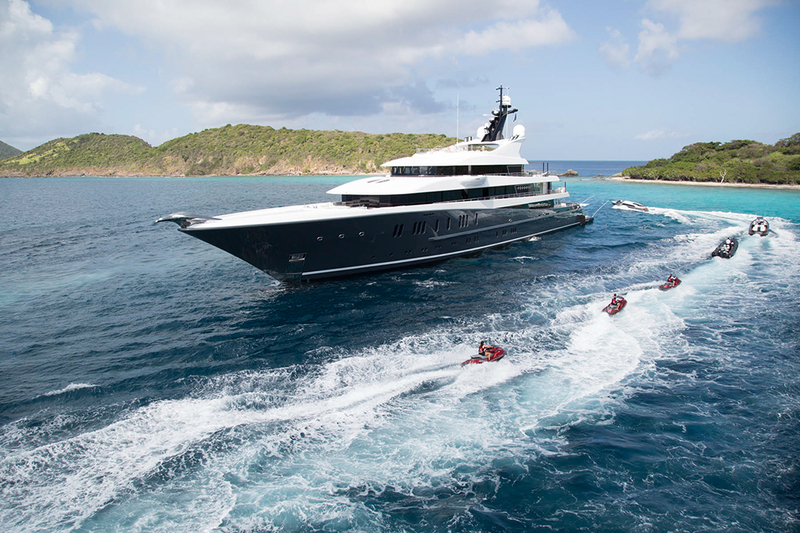 She boasts an impressive array of water toys including 3 guest tenders and a talented crew of 28 including a 3-chef team. 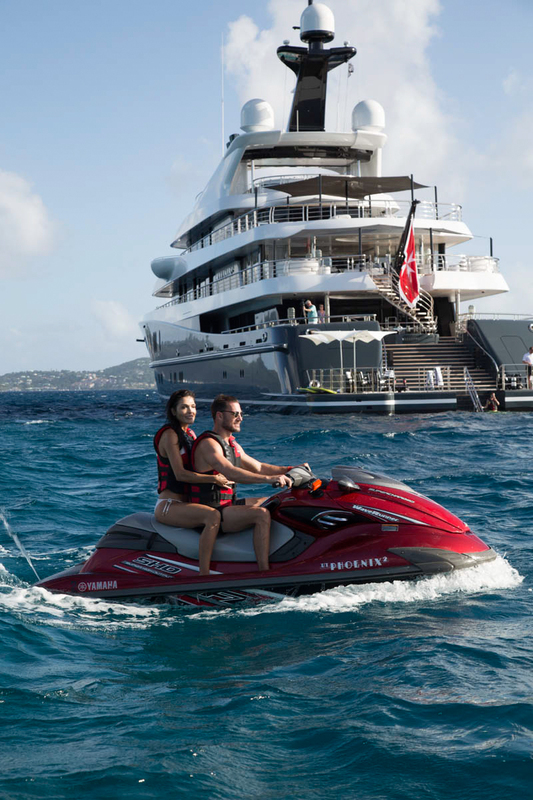 The tender include one 33 ft Custom Delphia limousine tender, one 33 ft Custom Delphia sports tender, one 25 ft Nautica beach landing craft, one 21 ft Fassmer rescue RIB, four Yamaha FZR supercharged Jet Skis, two Sea bobs Cayago F7, two 1 person kayaks, a 10.8 ft JP Australia paddle board, one 11.2 ft JP Australia paddle board, two Custom Australian surfboards, two JP Australia wind surfers-4.9ft/5.7ft sail, two Cabrinha Kite surfing sets- 8m-12m kites available, four Cannondale full suspension mountain bikes- small and large frames, one Aquaglide slide Water skis, as well as wakeboards and a variety of towable toys. 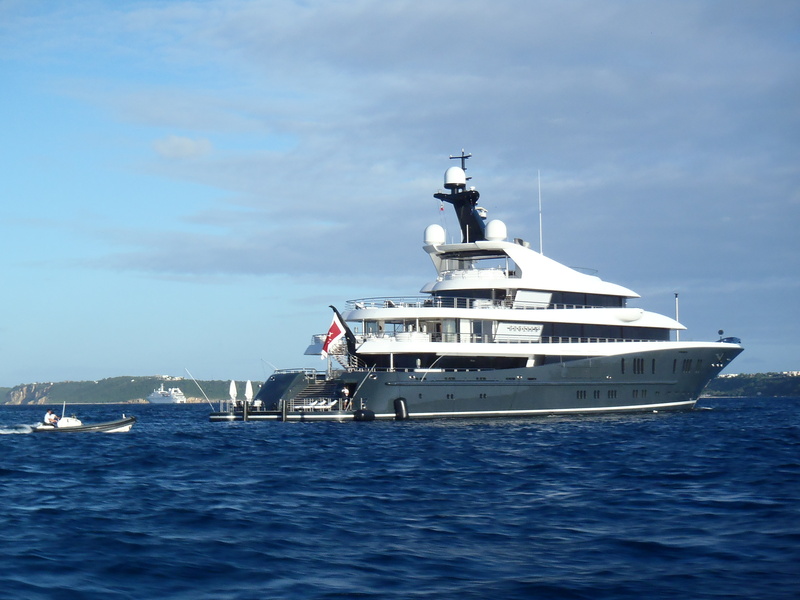 Other amenities include a barbeque and beach set up with dive equipment for six people and snorkel equipment for twelve guests. 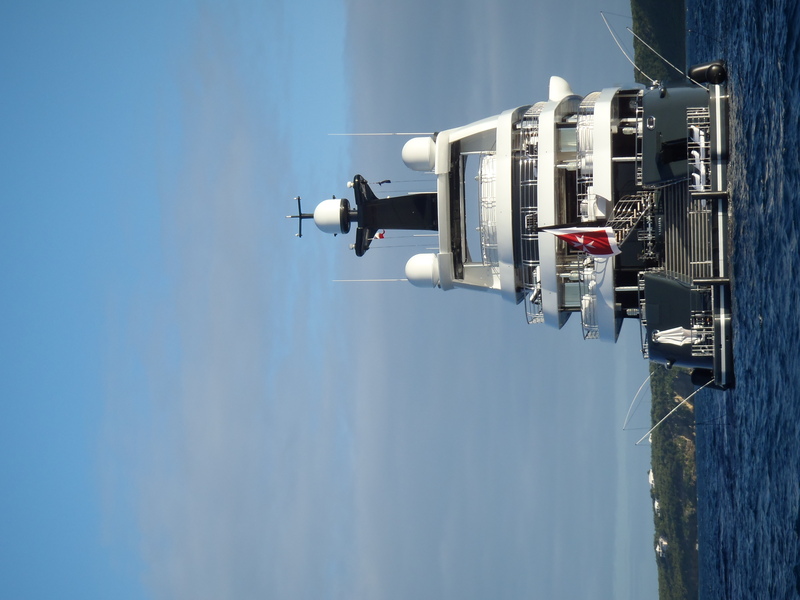 There is also a full complement of fishing equipment, a fly-board by Zapata, a Hoverboard by Zapata and a Jetpack by Zapata.